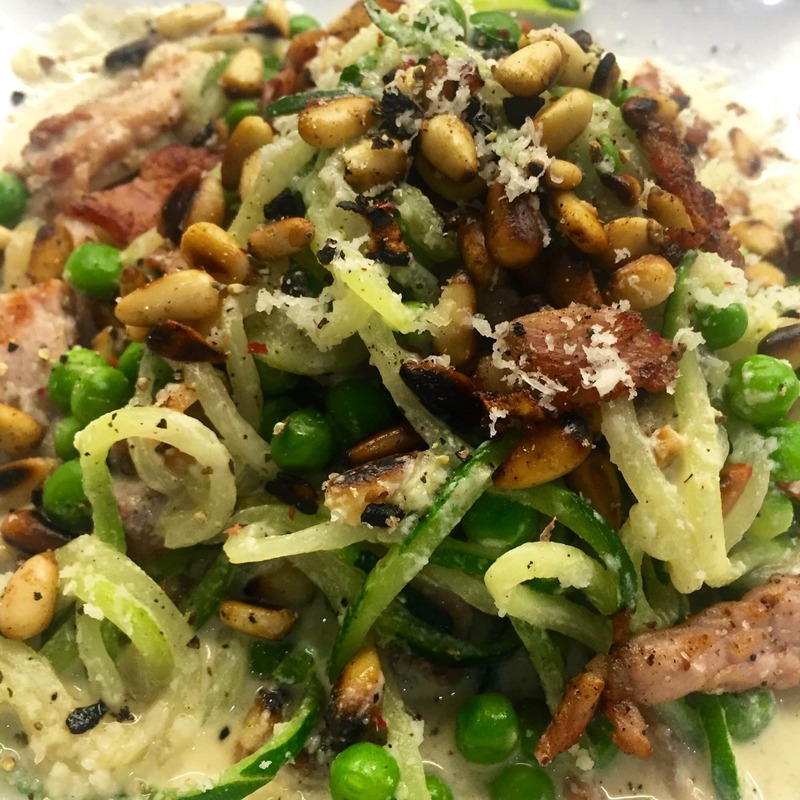 I was very sceptical about ‘Courgetti’ and the hype that surrounds it, I make no secret of that! 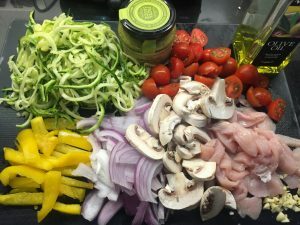 However I have mellowed as I’m really trying to cut down the carbs, but it’s still not spaghetti for heavens sake it’s just ribboned courgettes! But it’s still so good and I was really leased with the results! 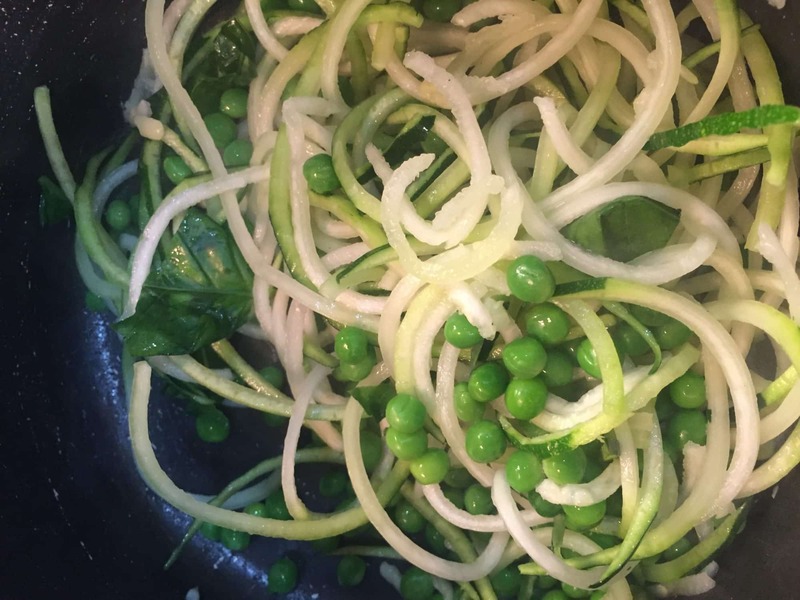 So here’s my second courgetti recipe – it’s amazing that the brain can actually think it’s spaghetti!! and mine did almost. I have been trying to decide for a while if to buy one of those ‘spririlizers’ but alas no need quite yet – it’s everywhere in the supermarkets. 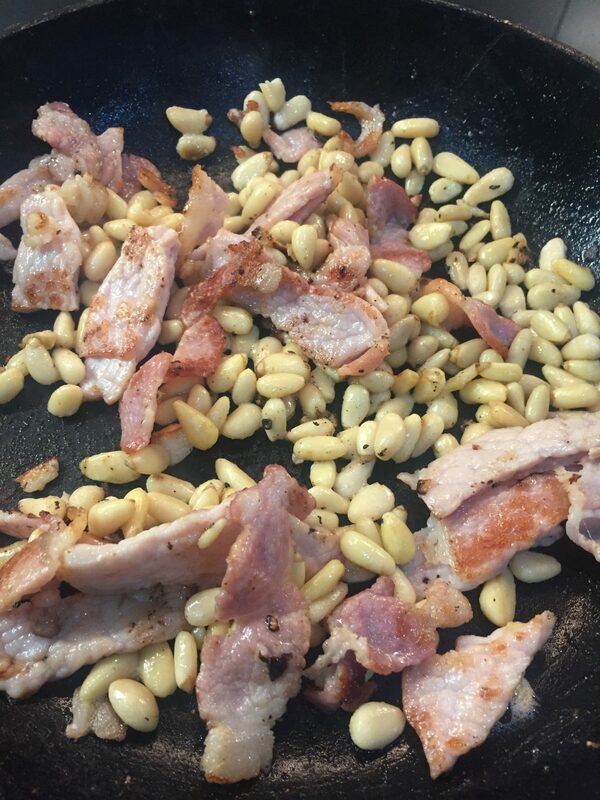 So here we have a Bacon, Pine-nuts & Peas variation. 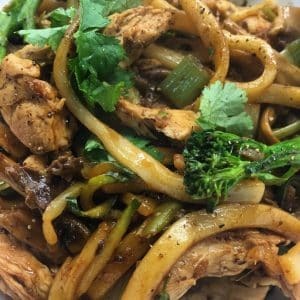 I so love this recipe – super tasty! and I know many of you love it too. In a sauce pan add a spray of fry light and the frozen peas, fry for 2 minutes until defrosted, add the torn basil leaves and courgetti. 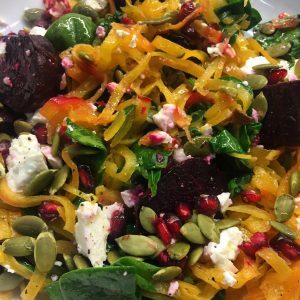 Dig in – guilt free! This looks great! I will have to think of a sub for the creme fraiche as I can't eat dairy but otherwise this looks like a delicious recipe! I love all of these ingredients, so I'm pretty sure this is going to be a huge hit! Yum! I'm just about to make this! 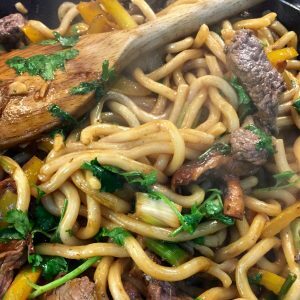 Buy yourself a Spiralizer, great piece of kitchen kit! Delicious!! I had no creme fraiche so used Philly instead, scrumulous! !